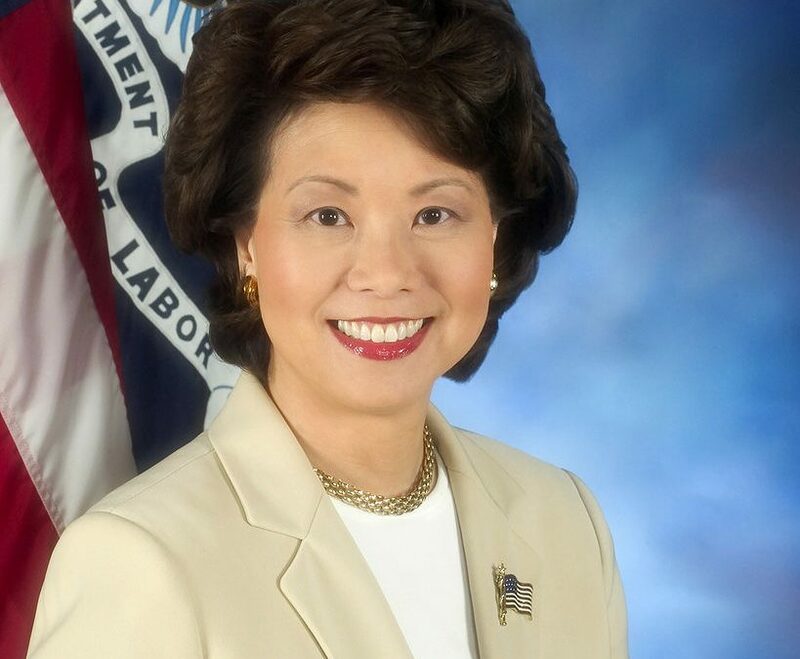 Elaine Chao is expected to become the 17th U.S. Secretary of Transportation after easily winning a Jan. 24 voice vote in the Senate Commerce, Science and Transportation Committee. The Senate is expected to bring her nomination to a floor vote the week of Jan. 30. Chao sailed through her Jan. 11 Commerce Committee nomination hearing. In the past, she helped lead federal highway, transit and aviation programs as deputy secretary of the U.S. Department of Transportation during the George H.W. Bush administration. She was labor secretary through both terms of the George W. Bush administration.